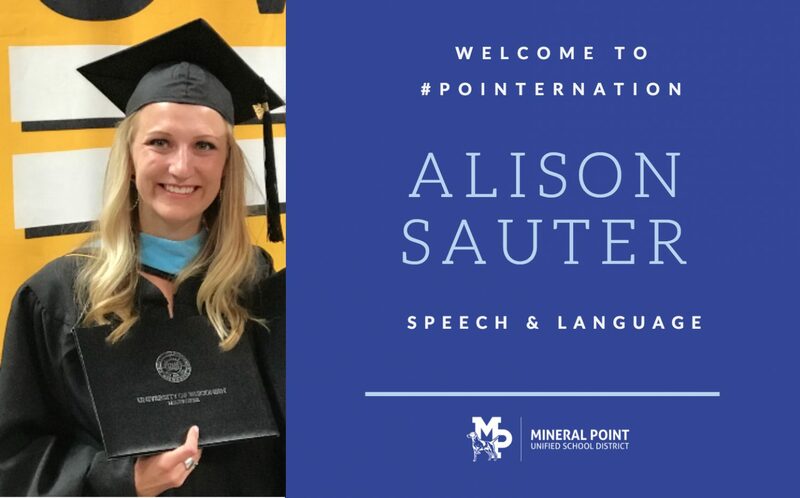 College: Alison earned her Bachelor’s from UW-Madison, majoring in Communication Sciences & Disorders and Religious Studies with a minor in Leadership. In August, she will complete her Master’s from UW-Milwaukee in Communication Sciences & Disorders. Previous employment: Alison completed her Educational Externship at McKinley Elementary in Wauwatosa during the Spring 2018 semester, her Audiology Externship at UW-Milwaukee Audiology Group, her Medical Externship at Aurora St. Luke’s Medical Center in Milwaukee, and her Birth to Three Externship at UW-Milwaukee Speech and Language Clinic. Alison has also spent summers teaching tennis and nannying, and enjoyed working as an events server for a local Milwaukee restaurant. Hobbies/Free time interests: I absolutely love to take time, rejuvenate, and refocus my energy and mind. I love to run, but also being active doing things such as kickboxing, yoga, barre, or playing tennis. I enjoy spending time with my boyfriend, friends, and family trying new restaurants in Milwaukee. Exploring the city through its history, food, architecture, music, festivals, or experiences is something that makes me very happy. If I have enough free time, and the weather isn’t so great, I love to stay in and cook or bake something delicious! What attracted you to apply at MP Schools? Honestly, the strong sense of community in this town and how close-knit it seems is one thing that has really attracted me to Mineral Point. Furthermore, Mineral Point Schools have consistently demonstrated their superior academic excellence and I am excited to be a part of such a vibrant learning community. Quotable: I believe that integrity and respect for others is the most important value anyone can have, and is one I will always work hard to uphold as a speech language pathologist. Our communities today are so diverse, whether that be culturally, religiously or ethnically; everyone’s values and beliefs are uniquely different and deserve to be respected. I believe respect for other people is vital in providing the most successful and effective services, and as a clinician I will respect my client’s opinions, wants, and needs. By treating people with respect, I will be able to achieve an important career goal of mine, which is to provide functional services that will generalize into the everyday lives of my clients. Another vital goal I hope to uphold and grow in as a speech language pathologist is in the area counseling. I love that I am a part of a support team, an advocate for my clients’, and that by just being there I can help them succeed. Additionally, I believe that involving caregivers and family into the counseling process is essential in carryover for my clients to see results and functional gains. By being approachable I am able to connect with clients and make them feel safe and respected. A warm smile and friendly greeting can go a very long way when working with people from a variety of different backgrounds, and this is something I will always preserve. By being approachable I will implement the best evidence based practice into the care and services of my clients. Above all else my clients deserve my undivided attention, patience and trust, and I will strive to give these qualities to everyone I meet. By being approachable I intend to gain the trust and respect of my clients so together we can be successful in their speech and language needs. In addition to the state-of-the art didactic education received at the University of Wisconsin-Milwaukee, my extensive clinical experiences at the University of Wisconsin-Milwaukee Speech and Language Clinic and education placement at McKinley Elementary School in Wauwatosa, have instilled in a me a true passion for working with children. Through my clinical practicum at UWM, I had the unique opportunity to service two preschool age-clients with phonological and language disorders. These experiences have equipped me with strong clinical skills, as well as the professional skills of flexibility, thinking “on my feet,” collaborating with others, and establishing open communication with parents. Furthermore, this experience has strengthened my commitment to exceptional student care, but also my desire to continue to improve my evaluation and treatment skills of children with various needs. During my educational placement, I had the incredible opportunity to collaborate with regular and special education teachers, as well as other professionals, in order to deliver effective services and develop my own unique clinical philosophy. I also had the opportunity to service children with various intellectual and developmental disabilities. Furthermore, I will have the chance to partake in an additional graduate externship experience in a neonatal intensive care unit, with a focus on infant feeding and swallowing. These experiences have strengthened my commitment to client contact and care, but also my desire to collaborate and treat the elementary population. This field excites me: I wake up every day and feel so blessed to have found a career path I am so passionate about. I will be able to go to work knowing I am helping, supporting, and collaborating with others. Even though it will be challenging and demanding, I cannot wait to meet people who will change my life, and make it all worth it.